The venue of CatBior2019 will be the conference centre Logomo in the downtown of Turku. The centre provides excellent facilities for lectures, poster presentations, exhibitions and informal meeting. Catering for lunches is provided on site. 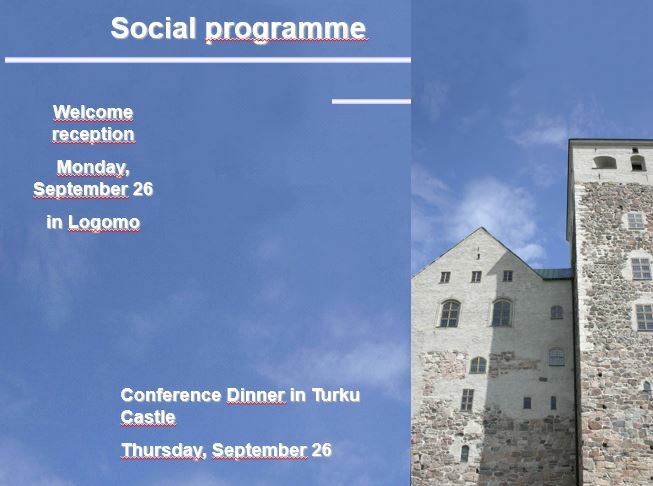 The conference centre Logomo is situated in the immediate vicinity of the main railway station of Turku and on walking distance (about 700 m) from the conference hotels and Market place of Turku.